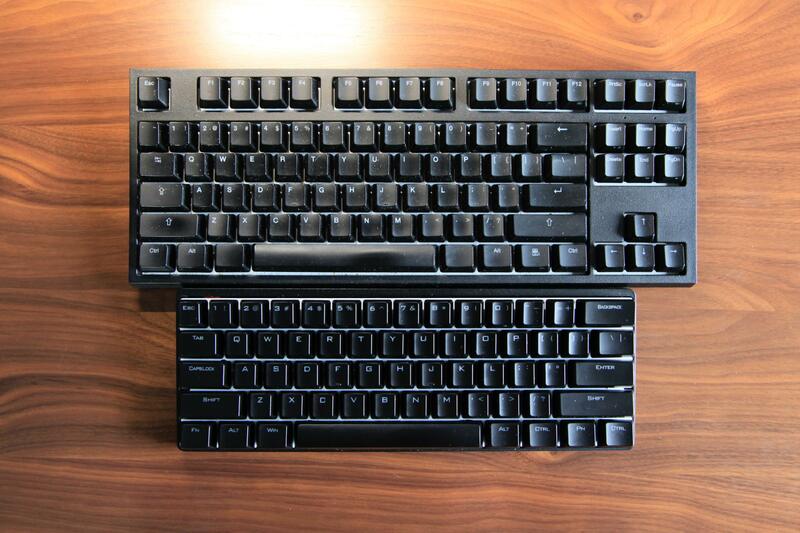 When I was using a Mac full time, I almost always used a CODE keyboard for all my typing. That lead me to find something better to use with my iPad, and I snagged a Poker II with MX Clear switches. It was a good keyboard for occasional iPad use, but it had a few fatal flaws: it was ugly, and the CMD key was unchangeably in the wrong location. 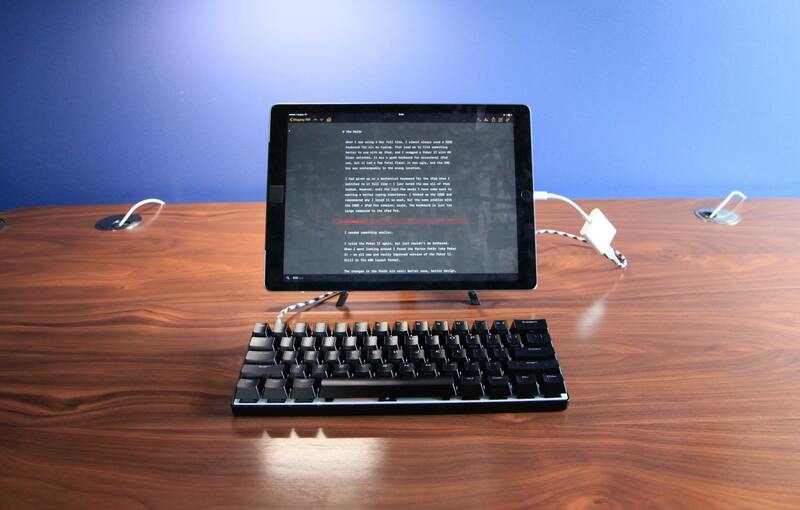 I had given up on a mechanical keyboard for the iPad when I switched to it full time — I just hated the way all of them looked. However, over the last few weeks I have come back to wanting a better typing experience. I hooked up the CODE and remembered why I loved it so much, but the same problem with the CODE + iPad Pro remains: scale. The keyboard is just too large compared to the iPad Pro. I tried the Poker II again, but just couldn’t be bothered. When I went looking around I found the Vortex Pok3r (aka Poker 3) — an all new and vastly improved version of the Poker II. Still in the 60% layout format. The changes in the Pok3r are vast: better case, better design, and programmable key layers. With all of these changes, the issues I had with the Poker II are resolved. You wouldn’t know the keyboard was programmable when you opened the box, as it comes with no manual. But some searching around and you’ll come across this handy guide for getting your keyboard setup. I was quickly able to reprogram the keys, however the right CMD reprogram has yet to really work for me — until I realized you also needed to move the FN key — after that everything worked. I’ve been able to fully reprogram the keyboard to work just as I want it to, with one notable exception. There’s no Eject key — which you think would be a non-issue given that I am using it with an iPad and not a Mac, however the Eject key is how you prompt iOS to show the emoji keyboard. Without it, I am left without access to the keyboard while using the Pok3r. Overall a much greater success than when I used the Poker II. For me this is one of the biggest changes. 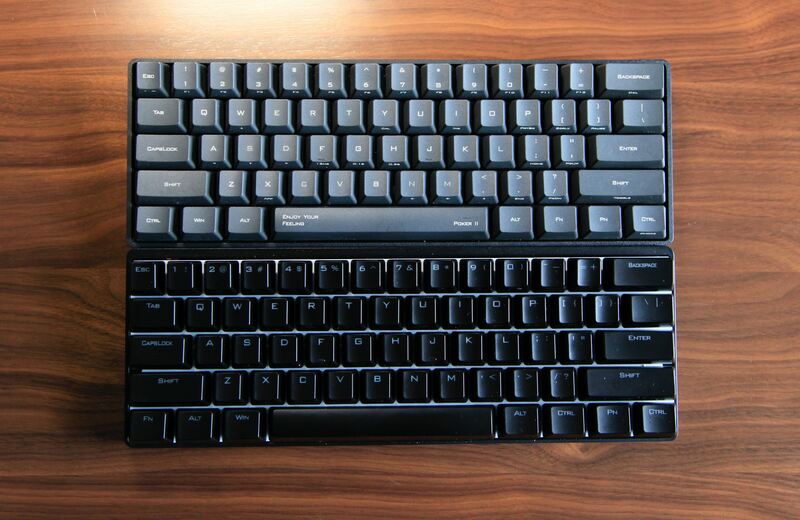 If you look at the two beside each other you can readily see how much better the Pok3r looks. But it also feels much better too. The case is no longer plastic which scales the edges, instead it is a heavy chunk of aluminum which sits low. The key caps too are made of a nicer material, but more than that they don’t have any of the cheesy crap from the Poker II models printed on them. 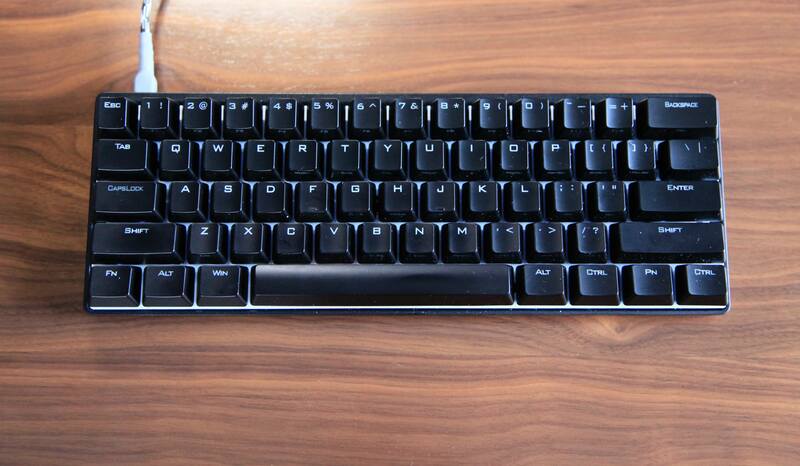 The entire keyboard looks like a keyboard which has been stripped down to it’s more essential components: the keys. It’s edge to edge keys and I think it looks fantastic (of course you can get aftermarket keycaps to modify the look if you desire). The Pok3r is a wired keyboard, and thus you need to use one of the many “camera connection adapters” for the iPad in order to hook it up. It can be powered off the non-powered kit, but fair warning: it takes a toll on the battery. Without the keyboard attached, just using the Smart Keyboard Cover, I can get about 8-9 hours of battery from my iPad Pro in an average day. With the Pok3r attached, I get 7-8 hours, losing about a full hour of battery life. That’s less than ideal, but can be mitigated with the powered adapter to keep your iPad Pro charged. Aside from the battery life hit, I’ve found working with this setup to be near perfect. 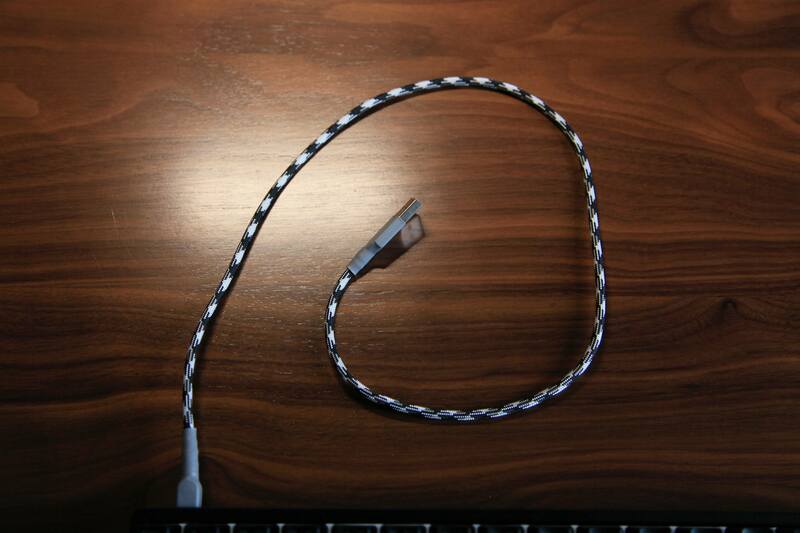 To alleviate the visual eye sore of the wires, I bought better looking wires, yeah. I’ve been using the excellent Compass (version 1, not 2) to prop up the iPad Pro as well. Once properly programmed, I’ve had no issues at all with using the keyboard and iPad together — far fewer issues than I do when I try to use any Bluetooth keyboard with it. When I initially received the keyboard the back light made an insane sounding high pitched whine when it was on. Some searching around lead me to find that a firmware update would fix the issue. In order to update the firmware I had to dig out a circa 2002 Dell laptop, but I got the job done and no more whine. I was initially worried I would be close, but not there with this keyboard, but I am there. This is a fantastic keyboard, not just for iPad users but for computing in general. I do wish there was a bluetooth version, but I also find Bluetooth keyboards problematic on iOS, so perhaps it’s better not to be given the option. A grown up version of the Poker II, and so much more.